MAYS LANDING, N.J. -- A judge had harsh words Thursday for a New Jersey doctor charged with arranging the murder of his wife to prevent her from exposing an illegal drug ring he was running with an outlaw biker gang, as well as for the person he turned to in search of a hit man. Superior Court Judge Bernard DeLury refused to let Dr. James Kauffmann or Ferdinand Augello go free on bail while awaiting trial. The judge determined the men were a threat not only to the community at large but in some respects, to each other. Augello is charged with trying to have Kauffman killed in jail. 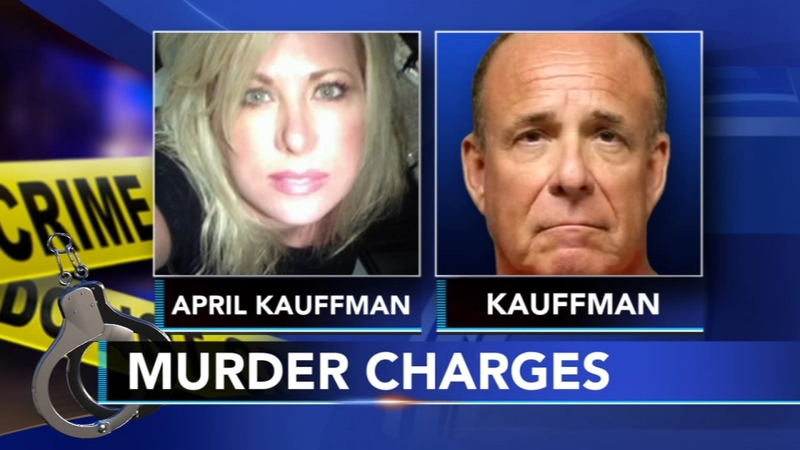 Kauffman was charged last week with arranging for the murder of his wife, a local radio talk show host who was shot to death in their Linwood, New Jersey home in May 2012. Prosecutors say April Kauffmann threatened to divorce Kauffman when she found out about the drug ring that sold and distributed prescription painkillers with the help of the Pagans motorcycle gang. Authorities say the suspect had his wife killed in order to protect an alleged drug ring he ran with the Pagans Motorcycle Club. Referring to Augello, the judge said: "This defendant needs to stay in jail. Every time he's out, he attempts to murder people who would do him harm." The hearing was held to determine whether the defendants could safely be released while they wait for trial. Chief Assistant Prosecutor Seth Levy gave some background for the conspiracy to commit murder charge involving Augello's alleged attempt to have someone kill Kauffman in jail. Kauffman is being held in the Hudson County Jail, nearly 100 miles north of the jail in Mays Landing where the other defendants were taken after their arrests. The bizarre case of a New Jersey doctor accused of having his wife killed to protect an illegal prescription drug ring he was running with an outlaw biker gang grew even more strange Thursday. 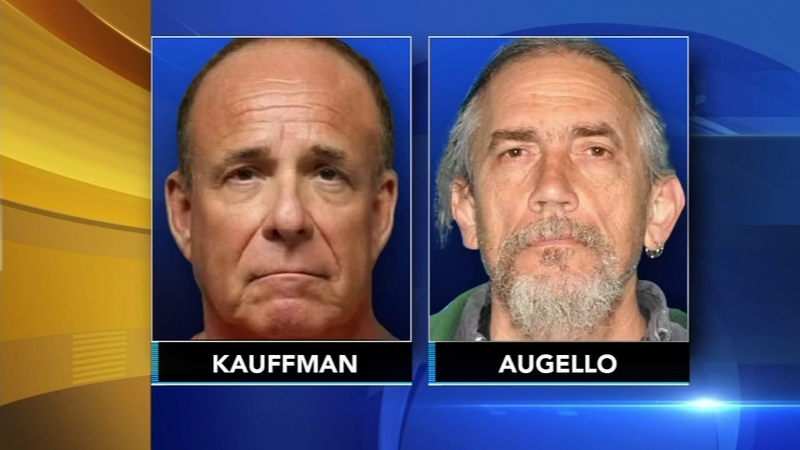 Augello "came to believe that Mr. Kauffman had flipped on him, had been talking to the police, and decided he would have Dr. Kauffman killed in prison, and did make an attempt to do so," Levy said. Augello's attorney, Mary Linehan, said Augello maintains his innocence, but she declined to comment further. Kauffman's attorney, Louis Barbone, also repeated his client's assertion of innocence. As for Kauffman, the judge said the murder charge involving his wife shows that Kauffman is "very likely to be involved in obstruction and intimidation" of witnesses. The judge allowed two co-defendants charged with lesser offenses to go free before trial. Joseph Mullholland and Tabitha Chapman can remain free as they await trial if they comply with several conditions including not contacting surviving relatives of the victim in the murder case; not contacting any witnesses in the case, and not communicating with co-defendants except through lawyers. Another co-defendant, Paul Pagano, is scheduled for a Jan. 25 detention hearing.